Was the Kecksburg UFO a Spy Satellite? The MUFON Journal appropriately printed this article in December of 2015; Open Minds made no mention of it. All Pittsburgh media outlets covered the story but there was almost zero national coverage. The folks at Black Diamond Social Club looked at all the traits that make a person more likely to have a UFO encounter. Here’s what they found. Many music fans are unaware that the original version of the popular 1980’s song “99 Red Balloons” was written in German, and is a little deeper in meaning (and more sinister) than the English version many people have heard. If you don’t know about the Roswell incident, then you’ve been hiding under a rock. Here’s something to catch you up. 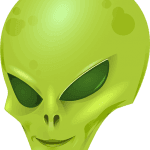 UFO Sighting Report – Oil City, PA – 1975. The folks at Black Diamond Social Club discuss a major hoax that took place in the UK and how the man who proved it was a hoax got ostracized from UFO groups as a result. If you’re a UFO enthusiast, there are handful of places you absolutely must visit. This is the list you’ve been looking for.